This is a die-cut Black Cat Cigarette porcelain sign. 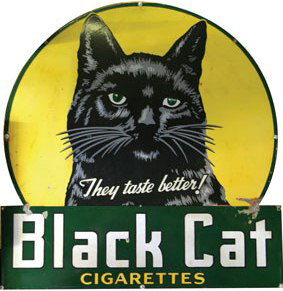 This particular Black Cat Cigarette sign features a black cat against a yellow moon. It reads, “Black Cat Cigarettes, They Taste Better!”.